As Chief Justice Roberts noted in his dissent in City of Arlington, Texas v. FCC, the federal bureaucracy currently “wields vast power and touches almost every aspect of daily life.” Given such power, it its crucial now more than ever that government agencies respect and protect the due process rights of Americans and American companies. Unfortunately, when regulatory action becomes politicized, due process often falls to the side. And in recent years, few things have become more politicized—and placed due process more at risk—than the nation’s telecommunications policy. Take, for example, the pending petition for certiorari at the Supreme Court in the case of SNR Wireless v. the Federal Communications Commission, where the FCC appeared to engage in a classic case of “moving the goal posts” without providing “fair notice” in the face of significant political pressure. Last February, the Phoenix Center—joined by a wide variety of public interest organizations from across the political spectrum—filed an amicus brief in support of certiorari (available here) to ask the Court to resolve this fundamental legal question: i.e., what is the appropriate standard for “fair notice” an administrative agency must provide to ensure due process? At present, there is a split in the circuits over what constitutes sufficient “fair notice.” Several circuits apply a straight-forward standard, requiring an agency to clarify and articulate their regulatory interpretations. In contrast, other circuits—including the D.C. Circuit in this particular case—shift the burden and hold that notice is sufficient so long as the public “should reasonably have anticipated” that an agency “might” change policy direction. As we point out in our brief, such an amorphous notice standard establishes a troubling precedent for administrative law. To put this case into context, let’s start with a bit of background. This case came out of the FCC’s handling of a 2014 auction for AWS spectrum (Auction 97). As was standard protocol, the FCC established the rules for Auction 97 through public notice and comment. In this public notice, the Commission specifically instructed firms seeking a determination to be a “Designated Entity” (and thus be eligible for significant bidding credits because they met certain financial limitations) to “review carefully” the well-developed Commission precedent on this matter. As Petitioners (by definition) were DEs and had little revenue, they did what other DEs had done lawfully in the past: they entered into assorted financial arrangements and joint bidding agreements with their partner DISH to raise sufficient capital to participate in a multi-billion dollar spectrum auction. Not wanting to run afoul of the Commission’s DE rules, Petitioners’ relied heavily upon DE agreements previously approved by the Commission. While the Agency leaves a formal examination of Petitioners’ agreements with DISH until after the auction concludes, the Petitioners made both the Commission and the public at large aware of their relationship with DISH via their “Short Form” application prior to the auction. The FCC was likewise unconcerned with the impact of the Petitioners’ relationships with DISH during the auction. Auction 97 data reveal that the bidding credits had exceeded $3 billion within one week of the eleven-week auction (Round 23 of 341). Bidding credits would reach nearly $4 billion, almost all of which was attributable to the Petitioners, by the 12th day of bidding. Under the terms of its own auction rules, if the Commission believed that Petitioners were “too successful” in the auction, then the Agency could have intervened at that point. Again, it did not. However, after Auction 97 concluded and the size of the bidding credits were publicly revealed, allegations that Petitioners violated the Commission’s rules spread like wildfire around Washington. Only then did the FCC perceive a problem, and that problem was mainly the Commission’s embarrassment from media coverage suggesting that the Petitioners had somehow bamboozled the Agency about their relationship with DISH. In response, both Democrat and Republican FCC Commissioners felt the pressure to act. For example, FCC Commissioner (and now Chairman) Ajit Pai, testifying before the Senate Appropriations Committee, remarked that “[a]llowing DISH to obtain over $3 billion in taxpayer-funded discounts makes a mockery of the small business program.” Not to be outdone, then-FCC Chairman Tom Wheeler testified before Congress that he intended to “fix this” because he was “against slick lawyers coming in and taking advantage of a program that was designed for a specific audience and a specific purpose” and opposed having “designated entities be beards” for large companies. A clean “fix” would prove elusive. Within months after Auction 97 concluded, the Agency amended its DE Rules to cap significantly the amount of bidding credits a DE may receive and to ban joint-bidding agreements for future auctions, effectively conceding that the undesired outcome of Auction 97 was a logical outgrowth of the rules in place for that auction. Admitting that it cannot apply its rule changes retroactively, however, the Commission was forced to engage in some legal gymnastics to revoke the Petitioners’ bidding credits. The agency’s legal gymnastics and disrespect for precedent came with severe financial consequences: Although Petitioners opted to purchase some of the licenses they won at auction at full price, financial constraints forced them to relinquish licenses worth $3.3 billion (again, they went into the auction based on the Commission’s acquiescence thinking they were entitled to a 25% bidding credit). 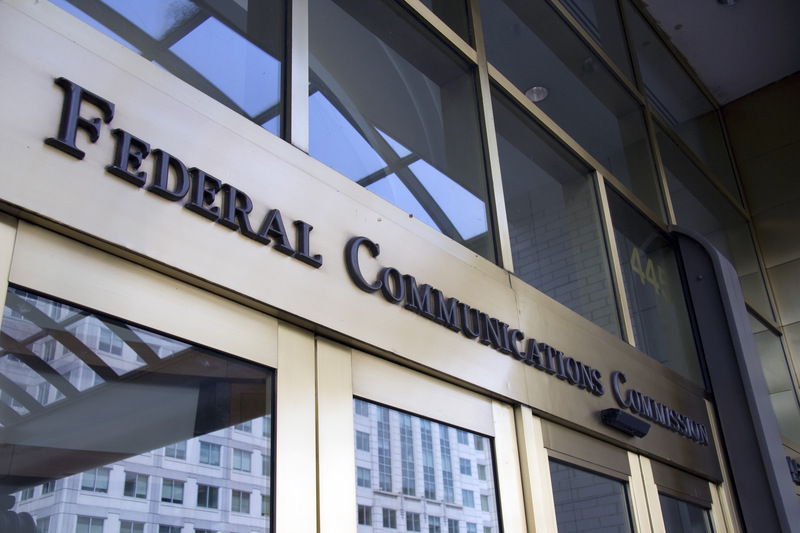 The FCC also imposed a $516 million “interim default penalty”—a penalty that will increase if, after a re-auction, the licenses are sold for less than the $3.3 billion Petitioners bid for them. By any standard, the FCC provided no “fair notice” of its change in policy. Instead, as the Supreme Court observed in Auer v. Robbins, this is a classic case of a “‘post hoc rationalizatio[n]’ advanced by an agency seeking to defend past agency action against attack.” Without question, the Commission was improperly seeking to escape responsibility for its choices about running Auction 97 by claiming post hoc that Petitioners had an “incorrect view” about FCC precedent but then disavowing this same precedent without explanation when the Commission both knew prior to the auction how the Petitioners interpreted the FCC’s rules and precedent yet nonetheless allowed them to bid aggressively and did nothing to stop the auction after the data revealed significant DE bidding credits for the Petitioners. Allowing an agency to move the goal posts without providing fair notice of a policy change raises serious issues of procedural due process. The D.C. Circuit, however, was unmoved. According to the D.C. Circuit in SNR Wireless LicenseCo v. FCC, before placing their first bid, Petitioners “should reasonably have anticipated” that the Commission “might” change its “effective control” standard post-auction, even though Petitioners—as instructed by the Agency—followed precedent and made the Commission aware of its bidding plans and financial arrangements with DISH. Which brings us to the pending petition for certiorari: why is a “reasonably anticipate” standard so dangerous to due process? First, as lawyers are not particularly good soothsayers, if they are charged with having to “reasonably anticipate” how an administrative agency “might” act, then the ability to rely on precedent—no matter how sparse—takes on added significance. In the case at bar, however, the D.C. Circuit effectively held that any bureau-level decision made on delegated authority at a federal administrative agency no longer has any precedential value, thus removing a potent source of guidance going forward. While bureau-level decisions, by definition, do not have the full force of agency-level decisions, very often bureau-level decisions are the only guidance available. By eliminating this common and well-accepted source of precedent, the D.C. Circuit’s ruling actually makes it harder—not easier—for the public to “reasonably anticipate” what an agency “might” do. Worse, under the D.C. Circuit’s logic, in the absence of a definitive agency-level order, any good-faith reliance on a bureau-level decision can now nonetheless expose regulated entities to significant financial penalties. Such an amorphous “reasonably anticipate” notice standard therefore injects significant regulatory uncertainty for entities subject to federal regulation, potentially leading to diminished investment in critical infrastructure. The effect on investment from heightened regulatory uncertainty will be particularly acute in the telecommunications arena, because the FCC is charged with ensuring that broadband is reasonably deployed to all Americans as directed by Section 706 of the Telecommunications Act of 1996. Finally, a “reasonably anticipate” fair notice standard does not constrain the power of the administrative state; instead, it greatly expands it. Even at an administrative agency, as then-Judge Gorsuch once observed in Direct Marketing Association v. Brohl, decision-makers must respect past decisions “out of fidelity to our system of precedent whether or not [they] profess confidence in the decision itself.” Yet, despite this basic maxim, scholarly research demonstrates that the role of precedent increasingly has little value in administrative agency decision-making. If the Court follows the D.C. Circuit’s logic, then the irrelevance of precedent in administrative agency decision-making will accelerate down the slippery slope. To hold administrative agencies to account, the Court must, in the words of Justice Gorsuch in Brohl, force agencies to “attach power to precedent” so that due process does not “surrender similarly situated persons to widely different fates at the hands of unrestrained” bureaucrats. While it is perfectly acceptable for an agency to change policy direction going forward, an agency must not be able to “disavow” precedent cavalierly when it proves inconvenient. Indeed, a “reasonably anticipate” standard creates a “plausible deniability” that an agency’s political appointees may invoke without warning in response to purely political pressures. Such a notice standard effectively end-runs the entire purpose of due process—to ensure that agencies operate under a predictable rule of law rather than in response to political expediency. In our view, a “reasonably anticipate” standard emboldens administrative agencies to act without constraint. Indeed, the central dispute in SNR Wireless is not over the bounds of agency discretion to interpret their enabling statutes, but over the bounds of acceptable conduct when an agency interacts with the public. So long as some circuits place the onus on the public to “reasonably anticipate” what an agency “might” do, then the government will continue to exploit this gaping legal loophole to avoid responsibility and act with impunity. Any standard which essentially requires the public to read the tea leaves and hope they guess correctly (or otherwise suffer severe penalties) can hardly be considered adequate to protect due process. So where does this case stand? At the time of this writing, the Office of Solicitor General has yet to file a response (having just requested, and received, their third extension of time). Given the Trump Administration’s excellent record of curbing the excesses of the administrative state, it will be interesting to see how (or if) the SG’s Office defends the “reasonably anticipate” standard. After that, we will see if four Justices vote for certiorari. Lawrence J. Spiwak is the President of the Phoenix Center for Advanced Legal & Economic Public Policy Studies (www.phoenix-center.org), a non-profit 501(c)(3) research organization that studies broad public-policy issues related to governance, social and economic conditions, with a particular emphasis on the law and economics of the digital age. 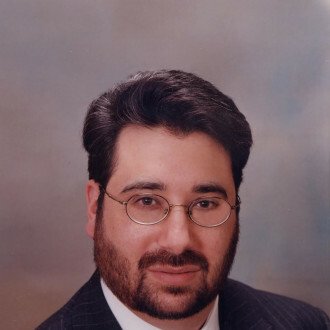 Mr. Spiwak currently serves as a member of the Executive Committee for the Federalist Society’s Telecommunications & Electronic Media Practice Group.